A brightly decorated cake can make a beautiful party centerpiece and you don`t need to purchase food coloring in every color of the rainbow to create your dessert masterpiece. You can create the exact color you want by mixing together a few basic colors. Start off with the primary colors and experiment with different combinations to get the perfect colors to coordinate with your next party or other special event. Add to your repertoire of cake decorating colors by mixing primary colors together to make secondary colors. These colors are made by mixing together equal parts of different primary colors. Mix two drops of blue food coloring together with two drops of red to make purple food coloring. Combine two drops of red food coloring with two drops of yellow food coloring to make orange. Make green food coloring by mixing two drops of yellow food coloring with two drops of blue. To make a cake that coordinates with any color scheme, continue to blend your newly created colors for even more. Make lime green food coloring by mixing three drops of yellow with one drop of the green food coloring. Mix two drops of green food coloring with four drops of blue to make aquamarine. Combine three drops of purple food coloring with two drops of blue to make a blue-violet food coloring. When you combine three drops of purple food coloring with two drops of red you now have a red-violet food coloring. Create chartreuse food coloring with nine drops of yellow and one drop of green food coloring. While chocolate icing sometimes serves as an adequate brown color for cake decorating, sometimes a deeper or lighter brown is required. Mix together two drops of red and two drops of green food coloring to make a dark brown. 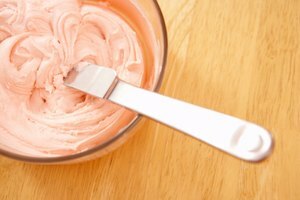 Lighten the brown food coloring to a tan color by adding two drops of yellow at a time. Mix and then add more yellow until the coloring reaches the shade of brown you want. Make black food coloring with three drops of blue, three drops of red and two drops of green food coloring. 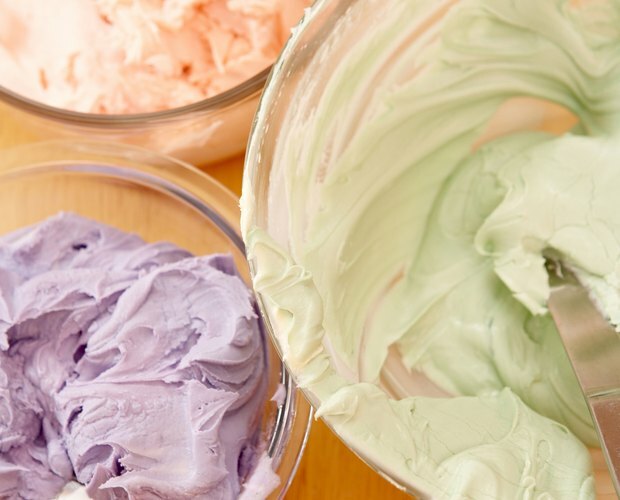 When you have created a great color, but it is just a little too dark for your decorating needs, you can lighten the food coloring by mixing in a little bit of white icing. This is a great way to make pastel color icings as well. To darken the food coloring for a deeper, richer color, add a little bit of black food coloring. 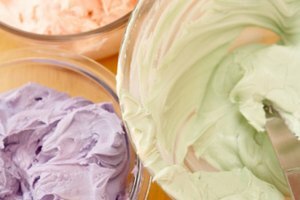 When making black icing, sometimes regular liquid coloring will not deepen in color as much as necessary. Instead, start with chocolate icing and add a little black powder or gel food coloring. 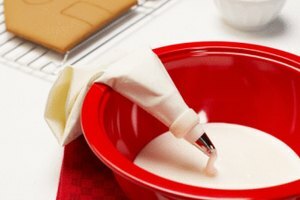 Do not start with vanilla icing because it gives the icing a bitter taste from the amount of black coloring necessary to darken the icing.